OhSo Makes Top 10 Bars! 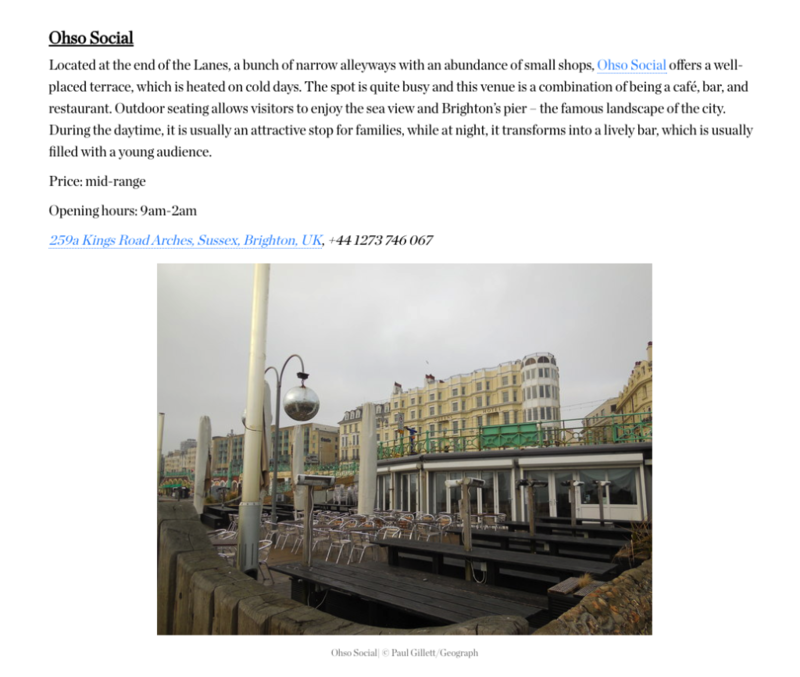 OhSo Social is now one of the Top 10 Bars in Brighton & Hove. We’re spoilt in Brighton for the number of bars and restaurants who are all fighting for a slice of the action; some of these venues excel, and we are proud to be one of those venues, who have made it into the top 10 of Brighton’s bars and restaurants according to ‘The Culture Trip’.